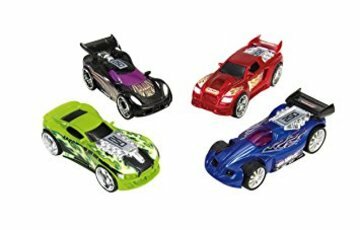 In 2005, Hot Wheels introduced a line of cars capable of calculating their top speed. Somewhere on the topside of the car, a digital display could be accessed to read the car's MPH, with the value then multiplied by 64 (1/64) to "estimate" the car's fictional speed in real-life scale. Per tradition, all the vehicle designs introduced in this segment would be reincarnated into the Rumblers 2007 lineup and properly assigned names.